1) (Baron King; the eighth baron, was created, 1838, Earl of Lovelace). Sa. three spears’ heads erect ar. embrued gu. on a chief or, as many poleaxes az. their edges to the sinister. Crest—A dexter arm erect, couped at the elbow, vested az. thereon three erm. spots in fesse or, cuffed ar. hand ppr. grasping a truncheon sa. the top broken off, the bottom couped of the third. Supporters—Two English mastiffs reguard. ppr. each gorged with a plain collar gu. Motto—Labor ipse voluptas. 2) (King-Noel). (Earl of Lovelace; exemplified to the earl upon his assuming by royal licence, 1860, the additional surname of Noel). Quarterly, 1st and 4th, Noel, or, fretty gu. a canton erm. ; 2nd and 3rd, King, sa. three spears’ heads erect ar. the points sanguine, on a chief or, three pole-axes az. their edges to the sinister. Crests—1st, Noel: A buck at gaze ar. attired or; 2nd, King: A dexter arm erect couped at the elbow, vested az. adorned with three erm. spots in fesse or, the cuff turned up, grasping a truncheon of a spear, the head silver. Supporters—On either side a mastiff dog reguard. ppr. collared gu. Motto—Pensez a bien. 3) (granted to Charles Francis King, Esq., of Broomfield, co. Essex). Vert a chev. or, surmounted by another erm. charged with three woolpacks ppr. betw. two lambs pass. in chief ar. and in base a golden fleece. Crest—In front of a lion couchant gu. a woolpack, as in the arms. 4) (Ashby Hall, co. Lincoln). Sa. on a chev. engr. ar. three escallops of the field. Crest—A talbot’s head erased sa. collared and ringed gu. eared or. 5) (Bellcone, co. Kent, bart.). Sa. a lion ramp. erm. betw. three crosses pattee fitchee or. Crest—A lion’s gamb erased and erect sa. grasping a cross pattée, as in the arms. Motto: Jamais sans espérance. 6) (Charlestown, co. Roscommon, bart.). Sa. a lion ramp. double queued or. Crest—A scallop shell gu. Motto—Spea tutissima coelis. 7) (Corrard, co. Fermanagh, and Dublin, bart.). Az. on a fesse ar. betw. a lion’s head erased in chief and a mullet in base or, three buckles erect gu. and, as an honourable augmentation, on a chief erm. an imperial crown within a chaplet of trefoils both ppr. Crest—A dexter cubit arm erect, holding a dagger in pale all ppr. surmounted by a scroll, inscribed “17 Aug. 1821,” in allusion to the period in which, as Lord Mayor of Dublin, he had the honour of receiving George IV on His Majesty’s visit to the capital of his Irish dominions. Motto—Audaces fortuna juvat. 8) (Staunton Park, co. Hereford). Quarterly, ar. and az. in the 2nd and 3rd quarters a mullet of six points or, pierced of the field, over all a bend barry of six of the second and gu. charged with a cinquefoil of the third Crest—A lion ramp. bendy or and az. supporting two branches composed of two roses gu. and three cinquefoils vert, slipped and leaved of the last. 9) (Highbury Crescent, co. Middlesex; granted to John Thomas King, Esq.). Per pale or and az. a cross patée fitchée betw. three lions’ heads erased counterchanged. Crest—A lion sejant per chev. engr. or and az. supporting with the dexter paw a spear erect gold, enfiled with a gauntlet also az. Motto—Altiora peto. 10) (co. Bucks). Sa. a lion ramp. or, tail double queued. 11) (co. Devon, and Towcester, co. Northampton). Sa. a lion ramp. betw. three crosses crosslet or, ducally crowned ar. Crest—Out of a ducal coronet or, a demi ostrich ar. wings endorsed, beaked gold. 12) (Bickenhill, co. Warwick; granted by Dugdale. Garter, to Thomas King, Alderman of Coventry; descended from co. Kent). Sa. a lion ramp. double queued crowned or, in chief three billets ar. Crest—A demi lion double queued or, billettée az. ducally crowned gold, holding in the dexter paw a sword ar. 13) (Pyrland Hall, co. Somerset; descended from John Meade, Esq., of Lyng, in same co., living 1600, assumed in 1830, in compliance with the will of Richard King, Esq., of the Rectory, North Petherton, the additional surname and arms of King). Quarterly, 1st and 4th, ar. a lion ramp. betw. three crosses crosslet sa. and as many escallops gu., for King; 2nd and 3rd, gu. on a chev. ar. betw. three leopards’ faces or, two arrows in saltire az. barbed and flighted ppr. betw. two bows chevronwise of the fourth, stringed of the field, for Meade. Crests—1st, King: A mount vert, thereon an arm in bend dexter couped at the elbow, the hand supporting a tilting spear erect, the head broken, the arm surmounting a branch of oak fructed in bend sinister, all ppr. ; 2nd, Meade: A demi griffin az. wings elevated erm. in the dexter claw a fleur-de-lis or. Motto—Cadenti porrigo dextram. 14) (Exeter; granted 1691). Sa. two flaunches erm. а liоn ramp. betw. three ducal coronets or. Crest—Out of a mural coronet ar. a lion’s head and neck sa. charged with three ducal coronets or. 15) (co. Hants). Or, on a pale az. three regal crowns of the first. Crest—An esquire’s helmet ppr. garnished or. 16) (co. Hereford). Ar. a lion ramp. az. 17) (Bromley, co. Kent). Sa. a lion ramp. guard. erm. betw. three crosses pattée fitchée at the foot or. Crest—A lion’s gamb erect and erased sa. holding a cross pattée fitchée or. 18) (Eltham, co. Kent; granted 14 June, 1707, to Daniel King, Esq., of Eltham). Per fesse indented gu. and sa. a lion or, ducally crowned ar. betw. three crosses crosslet fitchee of the last. Crest—An ostrich’s head couped ar. ducally gorged or, betw. two ostrich feathers ppr. 19) (co. Leicester). Sa. on a chev. ar. three escallops of the field. Crest—A lion pass. erm. ducally crowned or. 20) (co. Lincoln). Gu. a chev. betw. ten crosses crosslet fleury or. 21) (London). Sa. on a chev. erm. three escallops gu. Crest—A talbot’s head erased sa. collared and eared or. 22) (London; granted by Camden, Clarenceux). (Loxwood House, co. Sussex). (Towcester, co. Northampton). Sa. on a chev. betw. three crosses crosslet or, as many escallops of the field. Crest—A dexter arm embowed in armour, hold ing a broken spear all ppr. 23) (Midhurst). Same Arms. Crest—An ostrich’s head ar. ducally gorged or. 24) (co. Middlesex). Ermines, on a chief ar. three escallops sa. 25) (co. Oxford). Per fesse gu. and ar. three roses counterchanged. 26) (granted 1611). Sa. a lion ramp. betw. three crosses formée fitchée or. Crest—A greyhound’s head couped, ducally gorged. 27) (co. Wilts). Sa. on a chev. engr. ar. three escallops of the field. Crest—A talbot’s head couped sa. collared or. 28) Sa. a fesse wavy betw. three escallops ar. Crest—A lion sejant ppr. holding an escallop ar. 29) Sa. a chev. erm. betw. three fishes ar. Crest—A demi griffin or. 30) Ar. on a chev. gu. three lions pass. guard. or. 31) Or, a fesse betw. two ducal coronets sa. 32) Sa. a lion ramp. or, crowned ar. betw. three crescents of the second. 33) (borne by Rev. 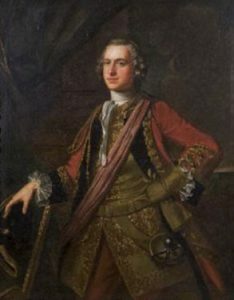 W. King, D.D., 1730-1740). Sa. on a chev. ar. three escallops az. on a chief or, a demi dragon gu. betw. two battle axes, the heads to the dexter of the second, and in base a cross pattée fitchée of the same. Crest—A dexter arm couped below the elbow erect, habited and cuffed, the hand holding a roll. 34) (London; Sir John King, Knt. Visit. London, 1568). Sa. a lion pass. or, a label of three points ar. Crest—On a ducal coronet a lion ramp. or, holding in the dexter paw a lance ar. on the point thereof an annulet gold. 35) (Coventry, co. Warwick, 1682) Sa. a lion ramp. queue furché or, ducally crowned of the last, in chief three billets ar. Crest—A demi lion ramp. queue furché az. billettée and ducally crowned or, holding in the dexter claw a sword ar. 36) (Umberslade, co. Warwick, and Hungrill, co. York). Sa. a lion. ramp. betw. three crosses crosslet or. Crest—A demi lion ramp. issuing out of a ducal coronet or. 37) (Skellands, co. York, from which descended Walker King, D.D., Bishop of Rochester). (Chadshund co. Warwick). (Preston Candover, co. Hants). Sa. a lion ramp. betw. three cross crosslets or. 38) (Fun. Ent. 1637, Sir John King, Knt., of Abbey, Boyle, co. Roscommon, Muster-Master-General of Ireland, and a Privy Councillor). Gu. two lions ramp. combatant supporting with the forepaws a dexter hand couped at the wrist all ar. 39) (Baron Kingston, extinct 1761; Sir John King, elder brother of Sir Robert King, ancestor of the Earls of Kingston, was so created 1660. The fourth baron left an only dau. and heiress, Margaret, wife of Richard Fitz-Gerald, Esq., of Mount Offaly, and had an only dau. and heiress, who m. her cousin, Robert, second Earl of Kingston). Gu. two lions ramp. supporting a dexter hand couped at the wrist, erect ar., quartering Blount, Blayney and Gore. Supporters—Two lions per fess ar. and gu. ducally crowned of the last. 40) (Earl of Kingston). Gu. two lions ramp. combatant supporting a dexter hand couped at the wrist and erect ar. quartering Gore, Blayney, Blount, Fitzgerald, Fenton, The White Knight, &c., &c. Crest—Out of a five-leaved ducal coronet or, a dexter hand erect, the third and fourth fingers turned down ppr. Supporters—Two lions per fesse ar. and gu. ducally crowned of the last. Motto—Spes tutisima coelis. 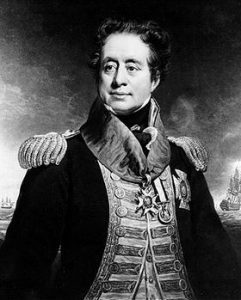 41) (Viscount Lorton; Hon. Robert Edward King, second son of Robert, second Earl of Kingston, was so created 1806. 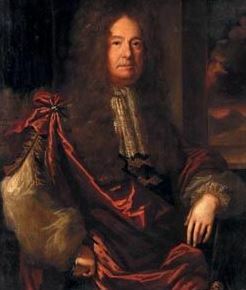 His Bon, Robert, second Vicount Lorton, s. his cousin James, fifth Earl of Kingston, as sixth Earl, when the viscounty of Lorton merged in the earldom). Same Arms, Crest, and Supporters as the Earl of Kingston, each charged with a crescent for diff. 42) (impalement Fun. Ent. Ulster’s Office, 1632, John Burnet, Esq., of Ballylack, co. Monaghan, whose wife was Katherine King). Sa. on a chev. ar. three crescents of the field, in middle chief a mullet of the second. 43) (Clontarf, co. Dublin. Visit. Dublin, 1606. 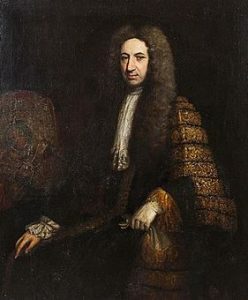 George King, High Sheriff co. Dublin, son of John King, Esq., of Clontarf, by Mary, his wife, dau. of Sir Henry Colley, Knt., of Edenderry, and grandson of Mathew King, Muster-Master of the Army in Ireland, who was a native of tho North of England). Gu. a lion ramp. or, betw. two flaunches erm. 44) (Fun. Ent. Ulster’s Office, 1680). Sa. a lion ducally crowned betw. three crosses crosslet or. 45) (granted by Carney, Ulster, 1690, to William King, Bishop of Derry). Az. on a chev. ar. betw. three estoiles or, as many escallops sa. Crest—A dexter hand couped at the wrist erect ppr. holding a cross crosslet fitchée gu. 46) (Clontarf, co. Dublin: Reg. Ulster’s Office). Az. three fusils or. 47) (Ballylin, King’s co.). Sa. a lion ramp. double queued or. Crest—An escallop gu. Motto—Spes tutisaima coelis. 48) (Mount Pleasant, co. Waterford; confirmed 1809, by Betham, then Deputy Ulster, to Thomas King, Esq., and the descendants of his grandfather, William King). Gu. a lion ramp. betw. three trefoils, two and one ar. and as many crescents, one and two or. Crest—Out of a ducal coronet or, a dexter hand, third and fourth fingers az. Motto—Medio tutissimus ibis. 49) (Barra, co. Aberdeen; Lord Ythan). Az. on a fesse ar. three round buckles gu. in chief a lion’s head erased, and in base a mullet of the second. 50) (Newmilne, co. Elgin). Same Arms. Crest—A hand holding a dagger ppr. Motto—Audaces fortuna juvat. 51) (Rev. S. King, Rector of Saxlingham, co. Norfolk, 1845 and 1867). Az. on a fess ar. betw. a lion’s head erased of the last and a water bouget or, three round buckles gu. Crest—A demi lion ramp. gu. crowned with an antique crown or, and holding in his dexter paw a rose ppr. Motto—Richt do and fear na. 52) (Campsie, co. Stirling, 1869). Az. on a fess ar. betw. a lion’s head erased in chief and two billets in base or, three round buckles of the field. Crest—A dexter hand ppr. Motto—Honos industrial praemium. 53) (The Hyde, co. Middlesex). Per fesse nebuly az. and sa. a lion ramp. ar. ducally collared betw. in chief two cross crosslets and in base an escallop or. Crest—On a rock ppr. a duck’s head erased ar. collared az. holding in beak an ostrich feather ar. 54) (Sherborne, co. Dorset; granted 10 April, 1641). Sa. a fesse wavy betw. three escallops ar. Crest—A lion sejant ppr. resting the forepaw on an escallop ar. 55) (co. Essex). Az. on a bend cotised or, three escallops sa. 56) (co. Essex). Az. a bend engr. erm. betw. three eagles displ. or. 57) (Gainsborough, co. Lincoln). Sa. a chev. betw. three escallops ar. Crest—A talbot’s head sa. eared gu. collared and ringed or. 58) (co. Lincoln). Sa. on a chev. engr. ar. three escallops of the field. 59) (London; granted 1591). Sa. on a chev. erm. three escallops gu. Crest—A talbot’s head erased sa. eared and collared or. 60) (London). Az. (another, gu.) a bend betw. two eagles displ. with two necks or. 61) Sa. on a chev. betw. three crosses crosslet ar. as many escallops of the field. Crest—An armed arm, couped at the elbow ppr. garnished or, holding in the gauntlet a broken spear of the second, headed ar. and girt round the arm with a scarf of the last. 62) Az. on a bend ar. three fermails of the field (another, gu.). 63) Ar. a fesse dancettee betw. three eagles displ. sa. This English last name is one derived from an office or a position: the king, a ruler and head of state. King was a title given to a male monarch in Europe during medieval times. It derives from the Anglo-Saxon word cyning, which in turn derives from the Germanic word kuninhaz, which is turn was borrowed from Estonian and Finnish since ancient times, and is spelled similarly in all Teutonic languages. The literal meaning of the word is “son or descendant of one of noble birth”. It is related to the Gaelic word ceann and Welsh words cun and cwn. The Old English word cynn means tribe or race. In Ireland, it can also be an Anglicized form (first as O’Kinga) of the Gaelic surname O’Cionga or O’Cingeadh. The Dictionary of American Family Names states: “The word was already used as a byname before the Norman Conquest, and the nickname was common in the Middle Ages, being used to refer to someone who conducted himself in a kingly manner, or one who had played the part of a king in a pageant, or one who had won the title in a tournament. In other cases it may actually have referred to someone who served in the king’s household”. The Surnames of Scotland by George Fraser Black states: “A surname of some antiquity and still met with in many parts of the country, Berwick, Fife, and Aberdeen. 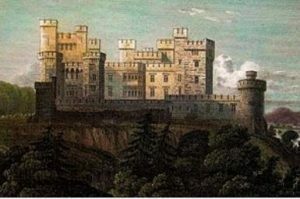 The first of the name recorded in Aberdeenshire is “Robertus dictus King” who bequeathed to the prior and convent of St. Andrews land in that shire which was the subject of a convention in 1247 between his brother’s daughter, Goda, and the prior and convent family of this name were in possession of Barra or Barrocht in the parish of Bourtie from an early period, and in 1493 parted with a portion of the land”. Common spelling variants or names with similar etymologies include Kyng, Kinge, There are also numerous last names containing this name within it: Kingsmill, Kingsford, Kingford, Kingham, Kingsley, Kingscombe, Kingsman, Kingwell, Kingston, etc. Foreign equivalents include Konig or Koenig (German), Kung (German or Swiss), and Leroy (French). The last name ranks Cooke ranks 35th in popularity in terms in the United Status as of the 2000 Census. The name ranks particularly high in the following eight states: Vermont, Tennessee, Indiana, Ohio, Alabama, Arkansas, Massachusetts, and New Hampshire. The surname is even more common in England, where it ranks 29th (as of 2014). It ranks highest in the following English counties: Bedfordshire, Buckinghamshire, Huntingdonshire, Berkshire, Nottinghamshire, Suffolk, Surrey, Essex, and Wiltshire. King ranks highest in the following Irish counties: Galway, Cavan, and Lout;, highest in the following Scottish counties: East Lothian, Naim, and Perthshire; and highest in the following Welsh counties: Monmouthshire Carmarthenshire, and Brecknockshire. The name is common throughout the English speaking world: Scotland (78th), Wales (68th), Ireland (132nd), Northern Ireland (110th), Canada (44th), New Zealand (13th), Australia (16th), and South Africa (193rd). Overall, it is about the 501st most frequency in the world. The 1890 book Homes of Family Names by H.B. Guppy, states the following in regard to this surname: “Mostly confined south of a line drawn from the Wash to the southern border of Shropshire. North of this line the name rapidly diminishes in frequency, being absent from my list in nearly all the counties thus marked off. It is rare also in the extreme south – west, in Devon and Cornwall. It is best represented in Beds, Bucks, Suffolk, and Wilts. The name is sparingly represented in Scotland”. The earliest known bearer of this surname was Aelwine se Cyng who was documented in the Old English Byname Register in 1050 AD. Other early bearers were Geoffrey King (1177 AD in Cambridgeshire), Robertus dictus King (1247 AD Aberdeenshire), and Wulricus le King (1182 AD Suffolk). Hundred Rolls of 1273 AD, a census of Wales and England, known in Latin as Rotuli Hundredorum lists two bearers of this surname: John le Kyng in county Norfolk in 1273 AD and Walter le Kyng in county Cambridgeshire. The Poll Tax of Yorkshire in 1379 AD lists one bearers of this last name: Willelmus Kyng. An early marriage involving this surname was William Kinge to Elliner White in London in 1611. In his book 1895, Genealogy of Irish Families, John Rooney asserts the McConroy or King family descended from Milesius, King of Spain, through the ancestry of his son Heber. This is likely a dubious claim, since the author claims numerous Irish families descend from said king, and historian believe Milesius was most likely mythical. Gno More was the founder of the family and of the line Cormac Cas, who was son of Olliol Ollum, the King of Munster in 177 AD. It was anciently spelled Conrway, which means “Con the King”. The family held estates in modern dawn Cork, Limerick, and Tipperary counties. Some members of the family eventually began to Anglicize the name as King. Francis King was born in the sixteenth century and he married Elizabeth Coleer in Taxted, Essex in 1608 AD. They had a daughter together named Margaret, who was born in 1574 in Great Baddow, England. She married Robert Pease Jr. and had issue with him. Ralph King was born in about 1574. 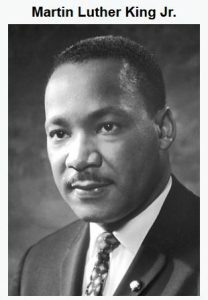 He married a woman named Frances and had two issue with her: Daniel King Sr. and Clement King. His son Daniel Sr. was born in 1599 in Watford, Hertfordshire and he married Elizabeth Guy in 1624 in Buckinghamshire. He later went to Massachusetts, and died there in 1672, having had the following issue: Daniel King Jr., Elizabeth (Riddan), Hannah (Blaney), Ralph I, and Sarah Needham. The famous genealogist Bernard Burke’s book “The Landed Gentry” discusses five branches of this family: 1) King of Ballylin, 2) King of Chads-Hunt, 3) Meade King of Walford, 4) King of Staunton Park, and 5) Newton King of Mount Henry. The first branch begins with a mention of John Gilbert King, Esquire of Ballylin, King couny was born in 1822 and was Justice of the Peace, Deputy Lieutenant, High Sheriff, and Member of Parliament. Burke states this families genealogy descends from Edward King, who was born at Stukeley in county Huntingon in 1577, who was consecrated Bishop of Elphin in 1611. His descendant, Gilbert King, married Sarah, daughter of John French of French Park, and had a son with him also named Glibert. This Gilbert was an Esquire and a Major of 5th Dragoon Guards who married his cousin Rebecca, daughter of John King of Ballylin, and left two issue with her: Harriet (who married Reverend John Eagles) and Reverend Henry King of Ballylin. Henry was born in 1799 and in 1821, he married Harriett, the youngest daughter of John Lloyd, and they had they had the following issue: John Gilbert, Harriett (married Ross Mahon), Jane (married Sir William R. Mahon), and Mary (married the Honorable Captain Henry C. Ward). The King Family Crest was blazoned as follows in heraldry: Sable, a lion rampant double queued or. The family was seated at Ballylin, Ferbane, and King’s County. The second branch begins with a discussion of Edward Raleigh King, Esquire of Chads-Hunts in county Warwick, who was Justice of the Peace and Captain of the 13th Light Dragoons. 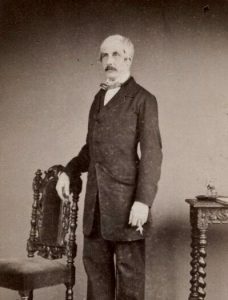 He was born in 1833 and in 1861, he married Susanna Octavia, daughter of Sir J.H. Lethbridge, Bart., and had issue: Ernest Raleigh Bolton, Violet Frances, and Ethel Mary. 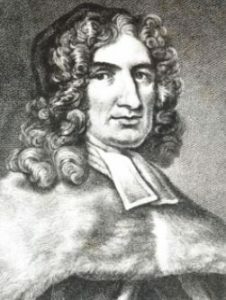 Burke states the family was originally from Westmorland, and its first members came out of that county, including one Thomas King, whose father garrisoned the church of Malhamedale for Parliament. He had three children, including a son also named Thomas who settled at Skellands in the parish of Kirby, Malhamdale. 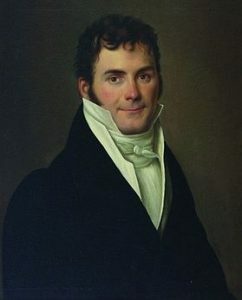 This Thomas married Miss Wilcock, and had a son with her named Hames. 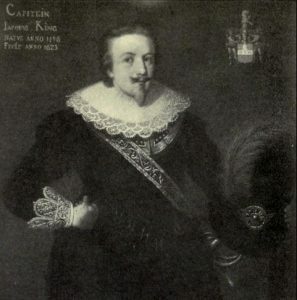 James married Anne, daughter and heir of Catt of Langcliffe, and had a son with her named Thomas. Thomas King of Skellands married, in 1714 or 15, Anne, daughter and co-heir of John Walker of Hungerhill, and had issue with her: Edward and John (born 1794, married Charlotte Wyndham and became Justice of the Peace, Deputy Lieutenant, and High Sheriff). Edward King was an Esquire of Hungerhill in county York and was Vice-Chancellor of the Dutch of Lancaster. He married a member of the Lang family and had three daughters with her: Henrietta (married George Carelton), Ann (married a member of the Sunderland family), and Mary (married a member of the Radcliffe family). 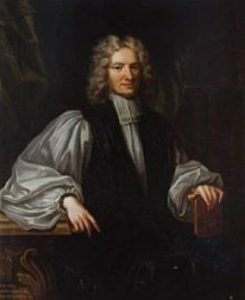 He later married Dorothy Myers, and had issue with her: Edward Bolton, Reverend John Meyers (Vicar of Carcombe), Susan Alice (married Reverend James Formby), and Dorothea (married Edward Williams Hassell). Edward Bolton King was an Esquire of Chads-Hunt, Justice of the Peace, Deputy Lieutenant, and High Sheriff in 1800, as well as a member of Parliament. He was born in 1801 and in 1828, he married Georgiana, daughter of Robert Knight of Barrells, and had seven children with her: Edward Raleigh, Georgina (married Captain H.C. Cotton), Frances Dorothea (married Honorable T. Stapleton), Catherine, Isabella, and Henrietta. He later married Louisa, daughter of Reverend C. Palmer and Lady Charlotte Finch, and had a son and two daughters with her. In heraldry, the King Coat of Arms has the following blazon: Sable, a lion rampant between three crosses crosslet or. The third branch begins with a mention of Richard King Meade-King, Esquire of Walford, Somerset who was Justice of the Peace, Deputy Lieutenant, and High Sheriff in 1873. 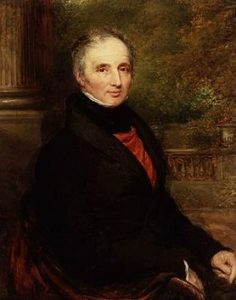 He was born in 1806 and in 1841, he married Catherine, daughter and co-heir of William Oliver of Hope Corner, and had seven issue with her: Richard Meade, William Oliver, Frederick Meade, Henry Herbert, Walter, Elizabeth Catherine, and Henrietta. The genealogy or ancestry traces back to John Meade of Lyng who was born in 1697. Richard Meade assumed the additional surname King by royal license in 1830, in compliance with the will of Richard King, Esquire of The Rectory, North Petherton. The King Coat of Arms is blazoned as follows: Quarterly, 1st and 4th, argent, a lion rampant between three crosses-crosslet two and one sable, and as many escallops one and two gules, for King, 2nd and 3rd, gules, on a chevron argent between three leopards’ faces or, two arrows in saltier azure barbed and flighted proper between two bows chevronwise of the fourth stringed of the field, for Meade. The fourth branch begins with a discussion of James King, Esquire of Staunton Park in county Hereford, and was a Member of Parliament from 1852-1868, as well as a High Sheriff in 1845, Justice of the Peace, and Deputy Lieutenant. 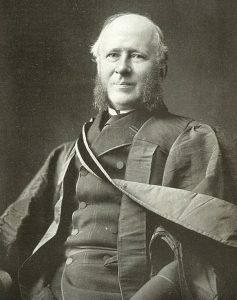 He was born in 1806 and was educated at Ballion College Oxford. 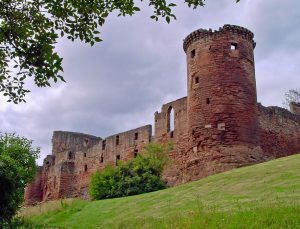 In 1835, he married Mary Cochrane, daughter of Kenneth Francis Mackenzies of Redcastle, and had ten children with her: Francis James (born 1838, Captain 13th Hussars), William Edward (born 1843, Justice of the Peace, married Lady Florence Corry), Eustace (born 1844, Reverend educated at Harrow and Christ Church Oxford), Emma Anne (married Thomas Pilkington Dawson), Eleanor Mary, Adeline (married George Pilkington Balke), Catherine Julia (married William Alexander Battine), Gerladine (married Captain Honorable Armar Lowry Corry), Eliza Margaret, and Mary Cochrane. Burke traces the lineage back to William King, Esq. 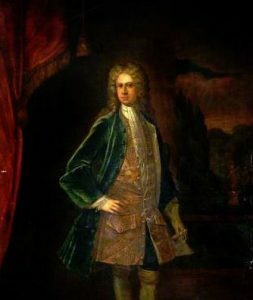 of Staunton Court, son of William, and grandson of Peter, who in 1715, married Eleanor Griffith, and had the following issue with her: James (born 1732, Justice of the Peace, Deputy Lieutenant, High Sheriff, married Anne Hicks and Margaret Cornish), Thomas (Court of Noke, died 1818), Anne (married Joseph Lyne), and Elizabeth (married Roger Simpkinsons and had issue with him). The King Family Crest is blazoned in heraldry as follows: Quarterly, argent and azure, in the 2nd and 3rd quarters a mullet of six points or, pierced of the field, over all a bend barry of six of the second charged with a cinquefoil vert slipped and leaved proper. 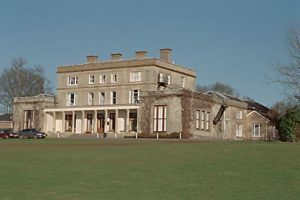 The family was seated at Staunton Park, Staunton-on-Arrow, county Hereford. The fifth branch begins with a mention of Richard Newton-King, Esquire of Mount Henry in county Wexford, Lieutenant, 35th regiment, born in 1856. The family was seated at Mount Henry, county Wexford. Burke traces the lineage back to Richard Newton of Ballynahallo who married Sarah Maude in 1697. 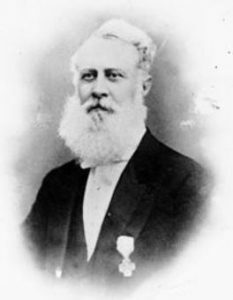 His great grandson, Richard Newton of Mae Mine, adopted the additional name of King upon inheriting his mother’s (a daughter and heiress of Jeremiah King) property. Henery King, age 222, came to Virginia aboard the Jonathan in 1620. William King, age 18, came to St. Christophers aboard the Paule of London in April 1635. Percy King, age 24, a maid, came to New England aboard the Elizabeth & Anne of London in 1635. Richard King, age 23, came to the Barbados aboard the Ann & Elizabeth in 1635. Thomas King, age 21, came to New England aboard the Blessing in 1635. Suzan King, age 30, came to New England aboard the Blessing in 1635. Allin King, age 19, came to Virginia aboard the Merchant Hope in July 1635. Edward King, age 21, came to Virginia aboard the Globe on London in August 1635. Thomas King, age 27, came to St. Christopher aboard the William & John in September 1635. Edward King, age 25, came to St. Christopher aboard the William & John in September 1635. Thomas King, age 24, came to the Barbados aboard the Expedition in November 1635. Thomas King, age 19, came to New England aboard the Francis of Ipswich in April 1634. Thomas King, age 15, came to New England aboard the Francis of Ipswich in April 1634. William Kinge, age 40, came to New England from the port of Waymouth in 1635, with his wife Dorothy and children: Katheryn, William, and Hannah. Two early settlers in Canada bearing this surname, who came to Nova Scotia in 1749, were Isaac and Giles King. In 1817, John King, an convict from Middlesex, England arrived in New South Wales, Australia, aboard the Almorah. A one J.W. King arrived in New Zealand in 1816 and settled in the Bay of Islands. 6) Henry King who came aboard the James from Southhampton, England, a laborer. 15) Ralph King, Lynn, MA, 1648, who married Elizabeth Walker in 1644 and had the following issue with her: Daniel (1669), Sarah (1671), Richard (1677), and Mary (1679). He was a Captain and died in 1689. 17) Robert King came aboard the Confidence from Southamtpon in 1638 at the age of 24. He was a servant of who little is known. 19) Samuel King of Weymouth who married a woman named Experience and had with her children named Susanna (1659), Elizabeth (1662), Experience (1664), Sarah (1666), Samuel (1671), and was a freeman in 1681. 20) Thomas King of Sudbury and Lancaster, who with wife Ann, had a son named Thomas. 21) Thomas King of Watertown, MA, in 1640. He likely came in the Frances from Ipswich in 1634 at the age of 19. He married a woman named Mary and had children Thomas (1641) and Mary (1643). His widow married James Cutler in 1645. 22) Thomas King of Scituate who came aboard the Blessing from London in 1635 at age 21. He married Sarah and had issue Rhoda, George, Thomas, Daniel, Sarah, and John. He later married Jane, widow of Elder William Hatch. His third wife was Ann. 25) William King of Salem, MA who came from London aboard the Abigail in 1635 at the age of 28. He was a freeman the next year, and received a granny of land. He had children Mehitable (1636), John (1638), and Deliverance (1641). 27) William King of Boston who married Sarah, daughter of George Griggs, and had children and had a son with her named William (1655). 1) Arg a lion ramp az crowned gu bet 3 crosses crosslet sa. Crest: on a ducal cor or a swan az. Crude water color unframed. “By the name of King.” Essex Institute, Salem, Mass. A lion ramp appears on a bill of sale to Asa King of Southold, N. Y., 13 Oct. 1757. N. Y. G. & B. 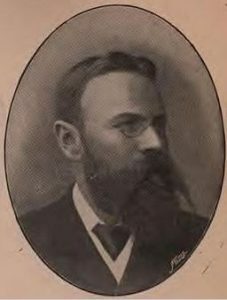 Record, April, 1896, p. 111. 2) Or 3 pheons. Bookplate Miles King, b. 2 Nov. 1747, and d. in Norfolk, 19 June, 1814. In 2 books now in the Library of William and Mary College. Crozier Va. Heral., p. 50. 3) Sa a lion ramp ermine bet 3 crosses pattee fitchée or. Crest: a lion’s gamb erect and erased sa holding a cross of the field or. Arms of King of Bromley, Kent, used by Rufus King, statesman, of Jamaica, Long Island, N. Y., on silver. Son of Richard of Watertown, Mass. N. Y. Gen. & Biog. Rec., vol. 41, p. 274. 4) [Sa] on a chev bet 3 crosses crosslet [or] 3 escallops of the field. Seal of James King of Suffield, Conn., on a deed, 1721-22. “N. Y. Gen. & Biog. Rec.”,vol. 41, p. 270. 5) Sa a lion ramp [or] bet 3 crosses crosslet of the last. Crest: out of a ducal cor [or] a demiostrich arg beak sa wings endorsed. Motto: Audaces fortuna juvat. Notepaper F. Winthrop coll., N. Y., 1885, in Bos. Ath. 6) Sa a lion ramp ducally crowned or bet 3 crosses crosslet or. Crest:, a demi-swan couped wings displ holding a horseshoe in its beak. Motto: Loyall au mort. Bookplate Morris King. A similar coat used by the Kings of Brunswick, Ga., desc. from John of Northampton, Mass. N. Y. Gen. & Biog. Rec., vol. 41, p. 273. Matthew’s American Armoury and Blue Book, by John Matthews of London, published in 1907, contains one arms, for Major Rufus King, LL.D., United States Senator and Minister to England in 1796, blazoned as follows: Sable, a lion rampant guardant ermine, between three crosses pattee fitchee ar foot or. Crest, a lion’s gamb erect and erased sable, holding a cross parree fitchee or. Crozier’s General Armory one entry for this surname: the arms of William King of Salem, MA, who lived from 1595-1651, and was originally from from Uxborough Devon, blazoned as follows: Sable, on a chevron between three crosses crosslet or, as many escallops of the field, with a crest that is an escallop or. The book also notes it was born by Samuel King (1633-1721) of Long Island. Further, the book states Honorable Daniel P. King of Boston bore the arms of Thomas Flint, of Salem, Massachusetts: Vert, a chevron between three flint stones argent. There are thousands of notable people with the King surname. This page will mention a handful. 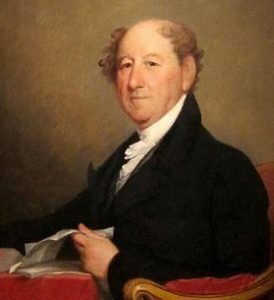 Famous people with this last name include: 1) Ian Graham King (1956) who is the Chief Executive Office from BAE Systems, 2) James Gore King (1791-1853) who was an American businessman who became a member of the House of Representatives from New Jersey, a member of the Whig Party, 3) Rufus King (1755-1827) who was an Senator from New York and a delegate to the Continental Congress, 4) John Aslop King (1788-1867) who was the Governor of New York before the Civil War, 5) Martin Luther King Jr. (1929-1968) who was a Baptist minister and the most famous leader of the Civil Right Movement in the United States, 6) Peter Thomas King (1944) who is an American politician from New York in the U.S. House of Representatives, 7) Peter King (1669-1734) who was a lawyer who became Lord Chancellor of England and 1st Baron King, 8) Stephen Edwin King (1947) who is an American horror and suspense author from Portland, Maine, 9) Riley Benjamin King (1925-2015), known as B.B. King, who was an American blues singer and guitarist from Mississippi, 10) Benjamin Earl King (1938-2015) who was an American soul and R&B artist from North Carolina, 11) Carole King (1942), who is an American singer-songwriter from Manhattan, New York City, 12) Ernest Joseph King (1878-1956) who was a Chief of Naval Operations during World War II who served in the Spanish American War and World War I, 13) Samuel Leonard King (1911-2003) who was an English golfer known for playing on three Ryder Cup teams, and 14) William Benjamin Basil King (1859-1928) who was a Canadian clergyman who was known for writing novels and non-fiction with spiritual themes. The two most prominent/common symbols in the King coat of arms or “family crest” are the lion rampant and the cross crosslet. There can be no animal more clearly associatepropd with Heraldry than the lion, majestic King of the Beasts. Originally it appeared only in one pose, erect, on one paw, with the others raised but such was the popularity of this figure, and the need to distinguish arms from each other, that it soon came to be shown in an enormous range of forms. The lion rampant is an example of these modified form, and any family would be proud to have such a noble creature displayed on their arms. Rampant is the default attitude of the lion, raised on its hind legs, facing to the dexter and with front paws extended in a fearsome and powerful pose. No other symbol appearing in heraldry is subject to as much variation as the cross. Mediaeval Europe was a deeply religious and Christian and many of the nobility wanted to show their devotion by adopting the symbol of the cross as part of the arms. Since no two arms could be identical there arose many variants of the cross. The cross crosslet is one of these, being symetrical both vertically and horizontally and having an additional cross bar on each arm. Wade suggests that these additional crossing signify “the fourfold mystery of the Cross”.